Set up your staff's roles in Costlocker so they can work effectively. Select People in the top bar and click the Add a new Person button. You’ll get to a form that lets you add a new person to your account. If you leave the Send invitation to Costlocker checkbox checked, the person will receive an automatically generated e-mail inviting them to finish their registration. This section allows you to assign people to their roles and respective account permissions. It is possible to change these settings at any time. Employee – a user with this role can only track time and see their Timesheet and Time Tracking tabs in the top bar. If you check the “Can browse Timesheet data from the whole Company” checkbox, this person will also be able to access all other people’s tracked hours. Manager – a user with the Manager role can create projects and track their time. However, they don’t see any financial metrics pertaining to project costs and profits. This role is most often assigned to those, who manage projects – project managers or account managers. Administrator – this kind of user can see everything in your account. That makes it the most sensitive role, as an Administrator can see the People tab, where everyone’s salaries are accessible. That’s why these roles are usually assigned only to the company’s management. Enter the super-gross salary, or the amount your employee invoices you. Enter their time commitment into the Contracted Monthly Hours field – 160 hours, if it’s a full-time contract. In case that this number varies, please take care to periodically update it to the average of monthly worked hours. This is critical for keeping the worked hour cost calculations accurate. Read more: Learn how the hours entered in Contracted Monthly Hours are related to the distribution of Overhead Costs among the costs of every single worked hour of everyone in the company. Enter the hourly rate that you agreed with your employee. At the end of the month, you’ll simply pay for the number of hours they tracked. We’ll tell you exactly how much to invoice them by the end of the month. 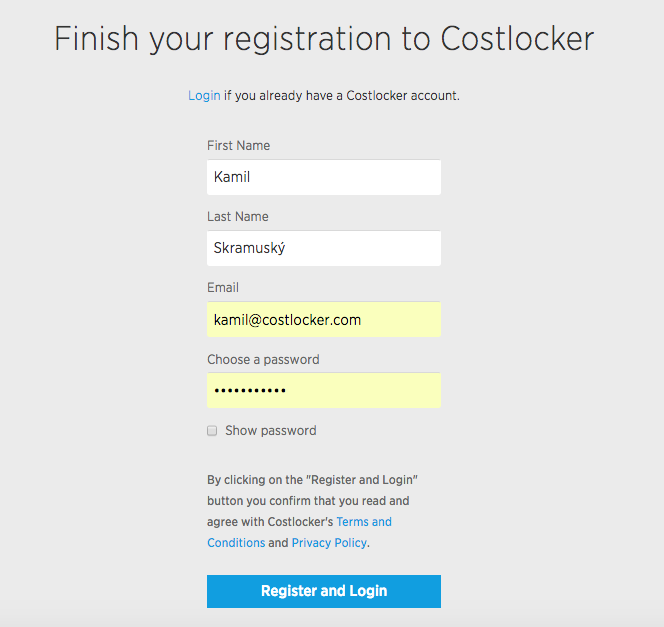 As soon as you add a person, they’ll receive an automatic e-mail invitation that leads to a registration form, where they’ll enter their own credentials for logging into the Costlocker app.